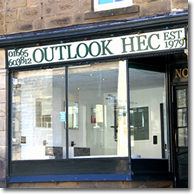 We are a second generation family company trading from our Showroom in Alnwick for over 34 years. We have listened to our previous customers and tailored our service to give you the best possible outcome. Come and visit our recently refurbished showroom. We have an extensive range of kitchens, bathrooms and bedrooms to choose from with many on display to give you inspiration and see our quality craftmanship. 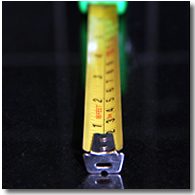 We will be happy to come out to discuss layouts and designs, and we'll measure up for you. 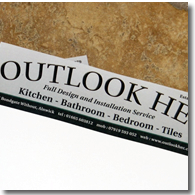 Receive an itemised quotation with no hidden charges. When ready to proceed we will agree on designs and give an approximate fitting date. Once all your products have been ordered we will confirm your fitting date. 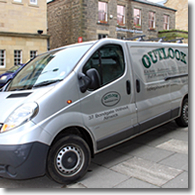 Our friendly and curteous staff will arrive to start work on the agreed date in uniforms and branded vehicles. 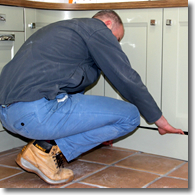 Our workmen strive to be the tidiest workmen you have had in your home. You will be visited continuously to check on the progress of the work. We will also contact any manufacturers on the rare occasion that faults may arise as this is all part of our service to you. 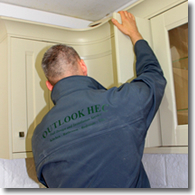 On completion we will go through our Outlook HEC 35 point check list ensuring our high standards are maintained and that you are happy with our service. 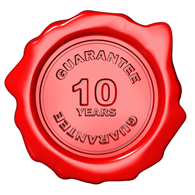 Once we are satisfied that you are delighted with the final result you will be given a copy of your 10 year guarantee. If you wish we will also help fill out any product guarantees you have and send them off to the relevant companies. OUTLOOK continue to give you Peace of Mind. We will call you after one month to check that everything is still perfect with your new kitchen or bathroom once you will have had a chance to use every component. For further Peace of Mind, should you have any future issues we guarantee to have someone out to you within 48 hours of any call.